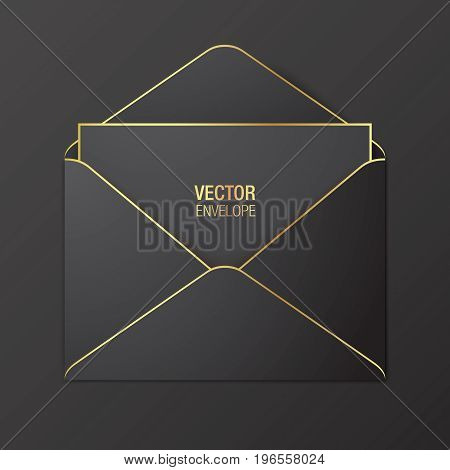 envelope › Buy Poster of Black vector envelope template. Black opened envelope with golden elements, lying on a red background. Realistic mockup. Poster of Black vector envelope template. Black opened envelope with golden elements, lying on a red background. Realistic mockup.